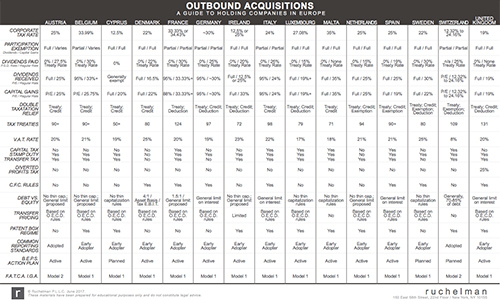 Outbound Acquisitions | Holding Companies of Europe — Ruchelman P.L.L.C. 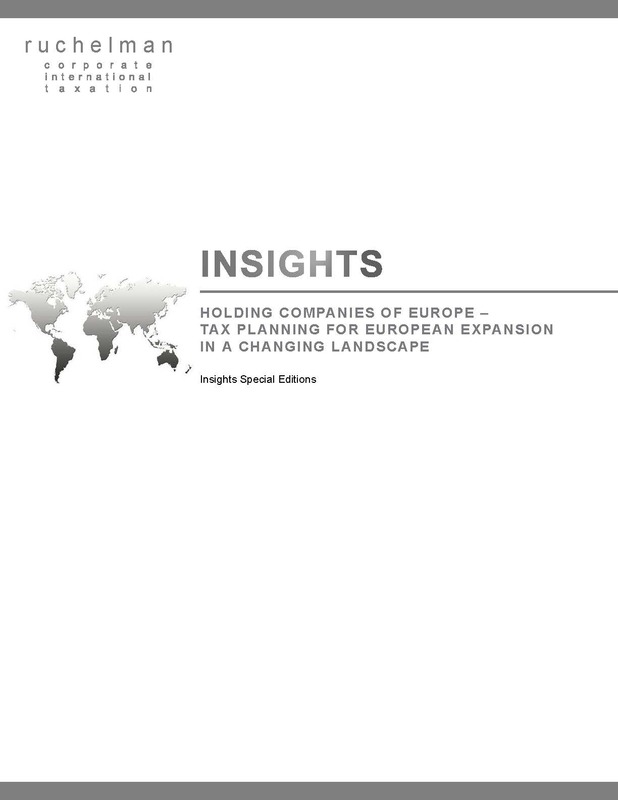 Outbound Acquisitions is a series that examines the use of holding company structures and the various benefits obtainable in 15 European jurisdictions. Attention is placed on the new reality of the O.E.C.D. 's B.E.P.S. project and several European Commission initiatives intended to eliminate cross-border tax planning arrangements. Featured authors include leading tax lawyers in their respective countries and other recognized tax experts. Originally published by the Practising Law Institute, Outbound Acquisitions is an annual series that examines the use of holding company structures and the various benefits obtainable in 15 European jurisdictions. Attention is placed on the new reality of the O.E.C.D. 's B.E.P.S. project and several European Commission initiatives intended to eliminate cross-border tax planning arrangements. Featured authors include leading tax lawyers in their respective countries and other recognized tax experts. 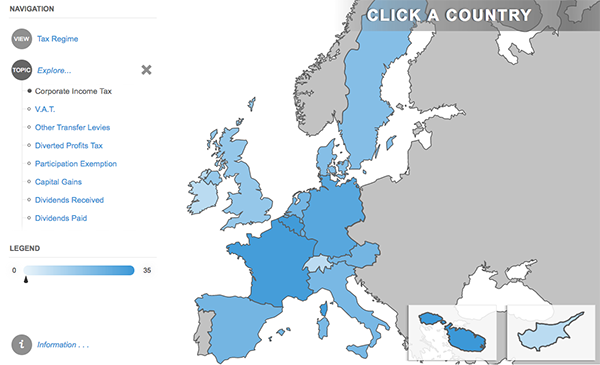 The Outbound Acquisitions interactive map is intended to be a concise and comprehensible way to explore the tax regimes that govern the use of holding companies in these jurisdictions. View a comparison of the tax rules in the covered jurisdictions as a PDF chart.